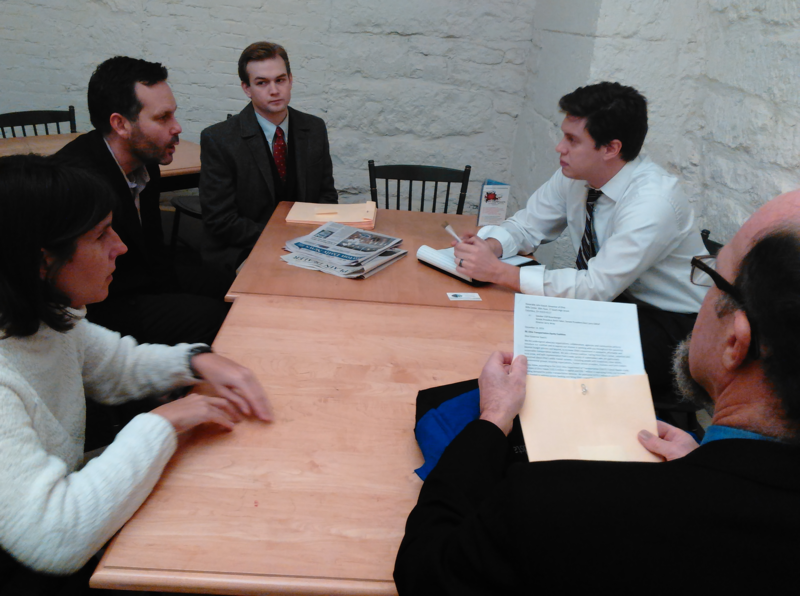 Members of Ohioans for Transportation Equity, a new statewide coalition, meet with legislators Wednesday. Wednesday, a broad coalition of Ohio organizations delivered a letter to Governor John Kasich, asking him to increase public transit funding across the state. Ohio's current contribution to public transit, about one percent of its total transportation budget, ranks 47th out of 50 states. "Ohio has done a terrible job funding transit for decades," said Amanda Woodrum, a researcher for Policy Matters Ohio who helped organize the coalition. "The current issues just add insult to injury, and it's raised alarm bells." But Woodrum told Scene that these issues are being experienced, to varying degrees, at all 60 transit systems across Ohio. There's a perception that public transit is an 'urban' issue, and that it's difficult to persuade rural, Republican legislators that it's important, but Woodrum said that doesn't have to be the case. "Rural communities, just like anywhere, have an aging population and people with disabilities," Woodrum said. "They don't have the transportation they need to get where they need to go. The rural communities have really helped our cause." Woodrum's been with Policy Matters Ohio for the past decade. She works, she said, at the intersection of energy and poverty, "and transportation fits squarely in the middle of that." 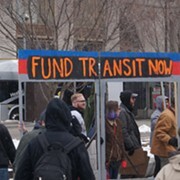 In the past, statewide transit advocacy has taken on many forms and many names. Woodrum said that in the past month or two, she's been able to "join forces" with other groups who advocate for elderly and disabled populations, and that the current coalition is, thankfully, expanding its outreach. The coalition of 45 groups is identified as Ohioans for Transportation Equity. It is comprised of local organizations like RTA, the Cleveland chapter of the Amalgamated Transit Union, Bike Cleveland, UHBikes, Joy Machines Bike Shop, and the Western Reserve Area Agency on Aging. The letter to Kasich and Ohio legislators asks for a significant increase in spending, specifically that Ohio commit at least 10 percent of its transportation budget to public transit, as well as safe bicycling and pedestrian infrastructure and education. making it difficult for them to access the grocery store, the doctor's office, and to meet their other needs with dignity." The letter noted the mounting funding crisis statewide. In addition to nearly $300 million in capital and operational costs, it said, $273.5 million in one-time funding is required to address "system backlog," and "to bring Ohio's transit fleet to a state of good repair." This request is by no means radical. 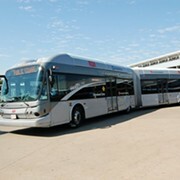 In fact, the Ohio Department of Transportation (ODOT) recommended that the state increase its public transit contribution to 10 percent in a 2014 Transit Needs Study. "All we're asking," said Woodrum, "is that they allocate resources according to their own study." A delegation from Ohioans for Transportation Equity hand-delivered the letter Wednesday, and Woodrum said they will continue to pressure legislators across the state. She said the goal over the next few weeks is that local groups speak with their elected officials while they're home for the holidays. In February, when discussions on the next transportation budget are expected to begin, the coalition will have a presence as well. "The elevated consciousness [caused by recent transit issues] can only help our cause. There have got to be solutions," Woodrum said. "The goal of the letter was just announcing ourselves: We're here and we're big and we're diverse, and we'll continue to grow."